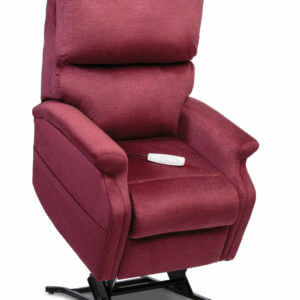 The relaxer is perfectly equipped to provide the maximum amount of comfort. With four pillows in the cascading waterfall backrest, you are sure to feel the difference in comfort. The overstuffed armrests provide an added level of support and the AutoDrive 3.0 hand control allows for easy adjustments for the perfect position every time. Please download the MaxiComfort Series Relaxer Brochure here for color swatches.